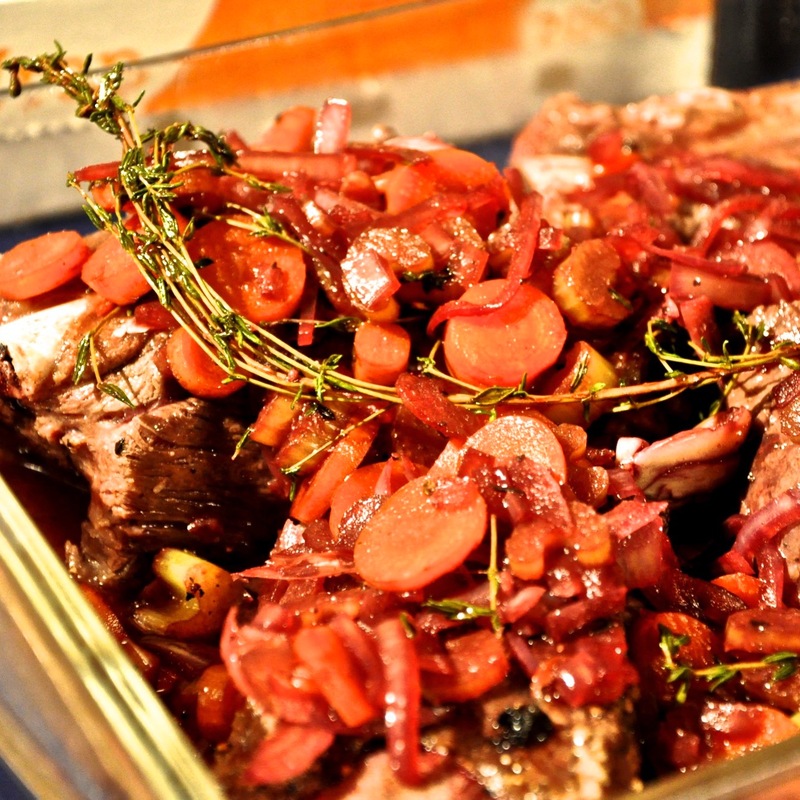 Salt down your short ribs. Some pepper wouldn't hurt. Sear for about 20 minutes. Rotate as needed. 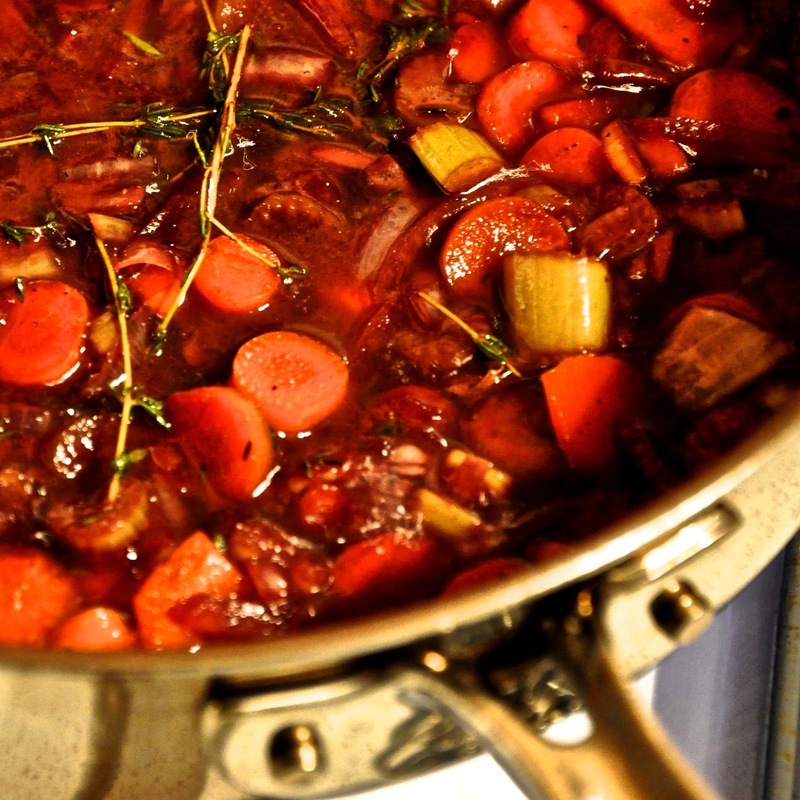 Remove and rest in a shallow casserole dish. 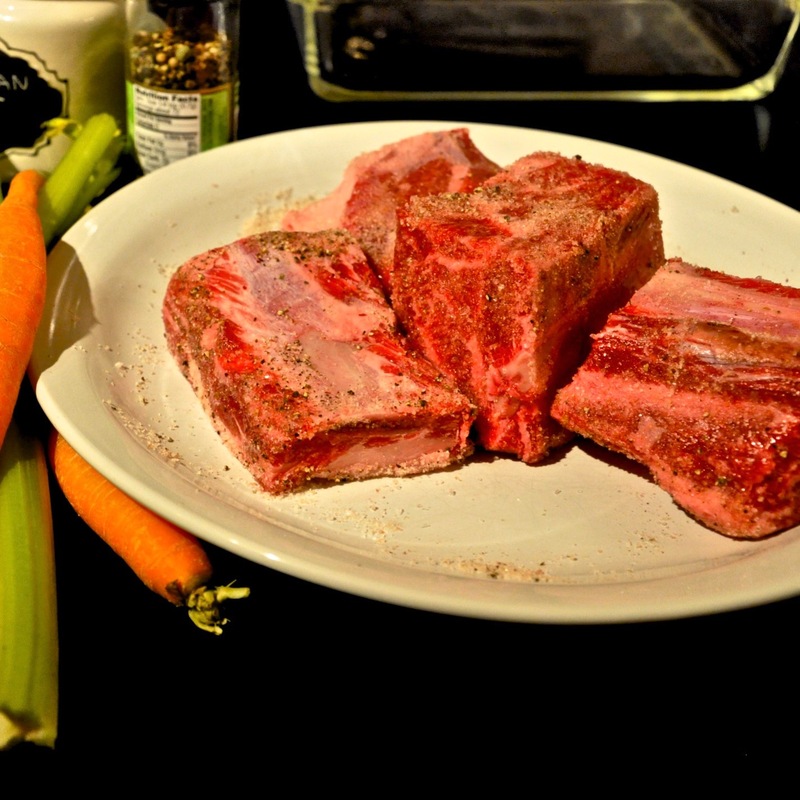 Add mire poix to the pan in the beef juices. Simmer on low for about 20 minutes. Add wine and thyme sprigs and simmer to half. 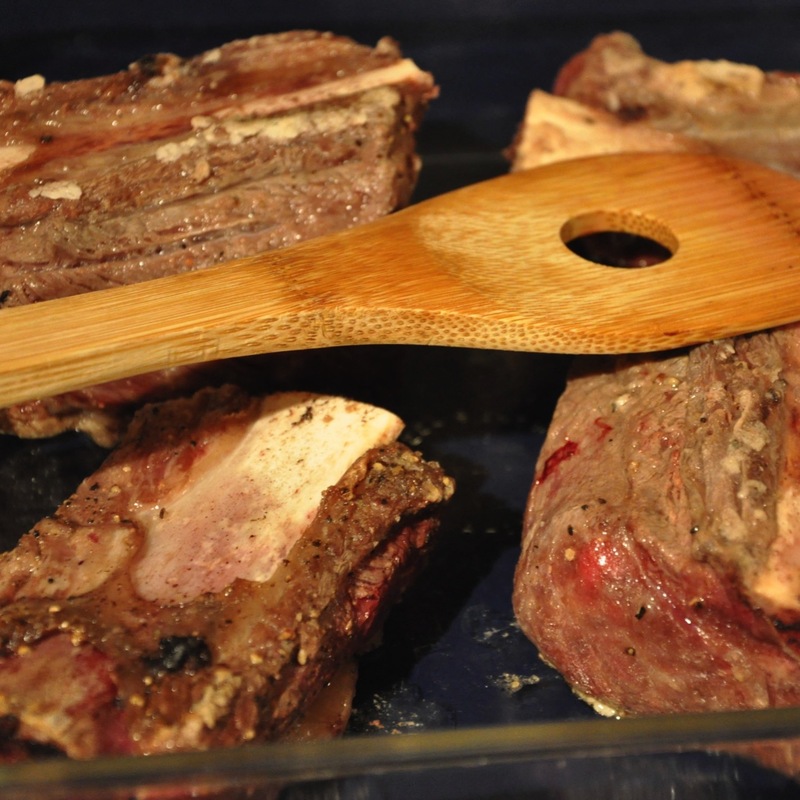 Dump your marinade on the rested shot ribs. Cover and put in fridge overnight. Next day braise em up. 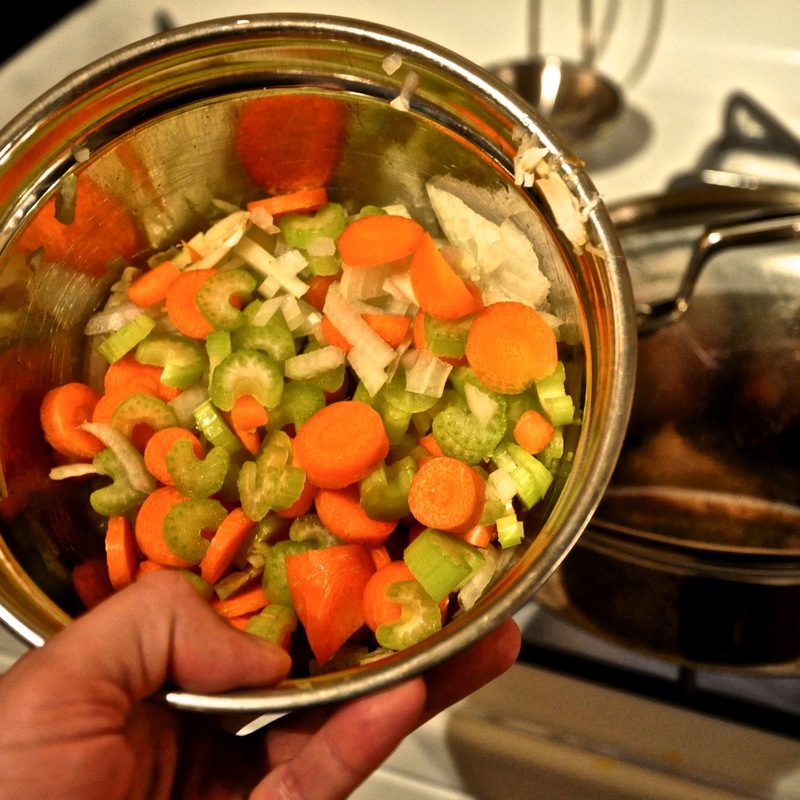 Transfer the ribs, marinade and chicken broth to a cast iron pot. 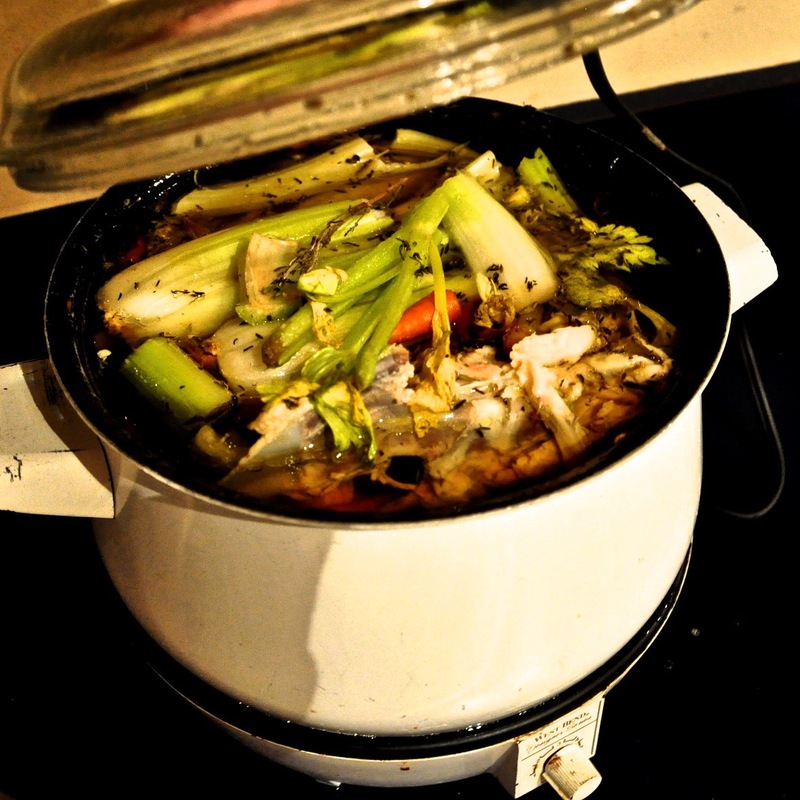 You did make your chicken stock right? Cook at 350 covered for an hour and a half and then uncovered for 45 minutes. Skim off the fat and broil for 10 minutes.